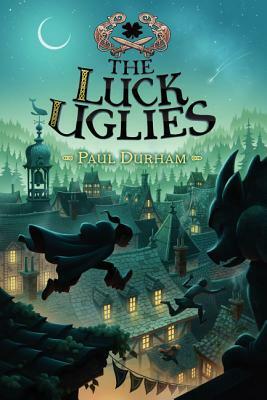 The Luck Uglies (Paperback) | Water Street Bookstore, Inc.
Rye O'Chanter has seen a lot of strange things happen in Village Drowning: Children are chased through the streets. Families are fined for breaking laws that don't even exist. Girls aren't allowed to read anymore, and certain books—books that hold secrets about Drowning's past—have been outlawed altogether. Now a terrifying encounter has eleven-year-old Rye convinced that the monstrous, supposedly extinct Bog Noblins have returned. Before the monsters disappeared, there was only one way to defeat them—the Luck Uglies. But the Luck Uglies have long since been exiled, and there's nobody left who can protect the village.